The Jam Bones will provide the entertainment for the Aug. 12 Oswego Farmersâ€™ Market. Pictured are: Rich Walikis, guitar/vocals; C.R. 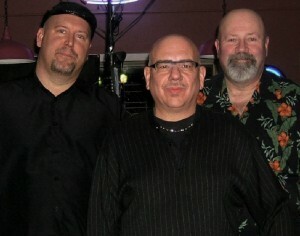 Stewart drums/vocals; and Carl Castagna, bass/vocals. The market features live entertainment each week with The Jam Bones providing the music Aug. 12. Performing music from a number of styles, The Jam Bones recreate covers from a wide range of artists including The Rolling Stones, Santana, The Allman Brothers and more.